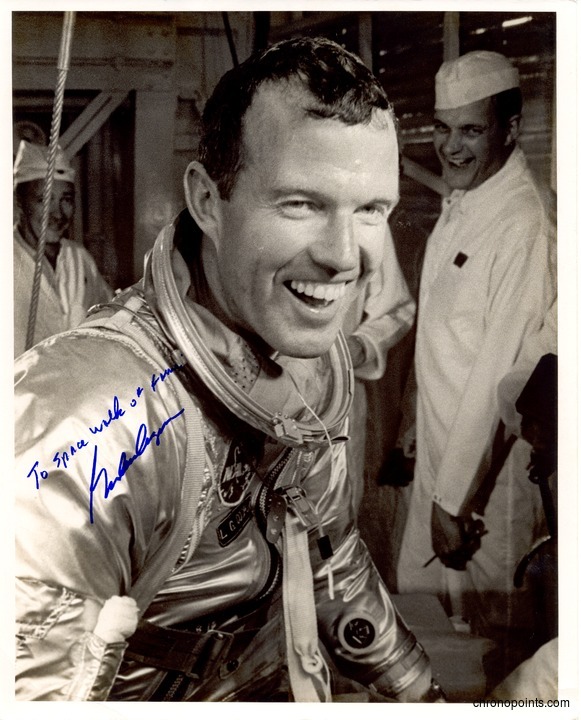 Years after his historic Mercury-Atlas 9 mission, astronaut Gordon Cooper (1927-2004) autographed this photograph of himself for the U.S. Space Walk of Fame Museum in Titusville, Florida. During his Faith 7 flight, Cooper orbited the earth 22.5 times. 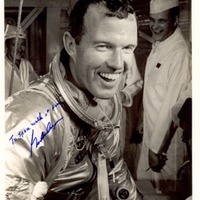 “Astronaut Gordon Cooper Autograph.” RICHES of Central Florida accessed April 25, 2019, https://richesmi.cah.ucf.edu/omeka/items/show/5020.